Remember my post, Bronzo in Action? Well at the end there was a picture of the Governator wearing a watch that I could not identify. Well, a reader did and thumbs up to Art Top for the info and link. 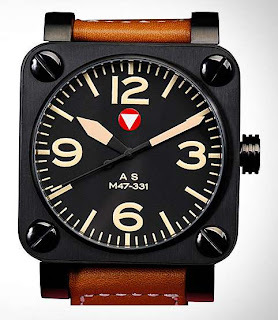 Here is the watch in question (or a variation of the watch). 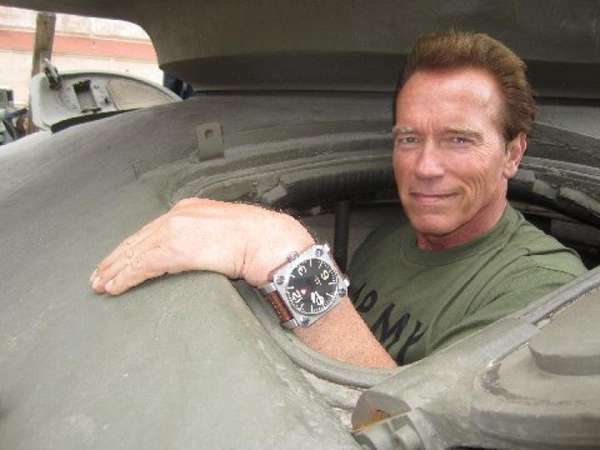 The Governator with the watch in what I guess is the M47 tank. 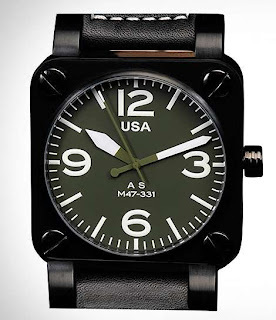 That is one huge watch. 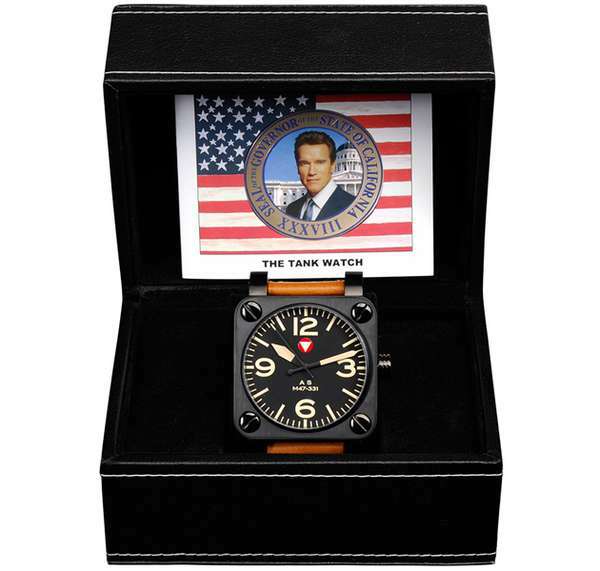 Evidently the watch is based on the instrument on the M47 tank that the Governator use to drive when he was in the military service in Austria in the 60s. 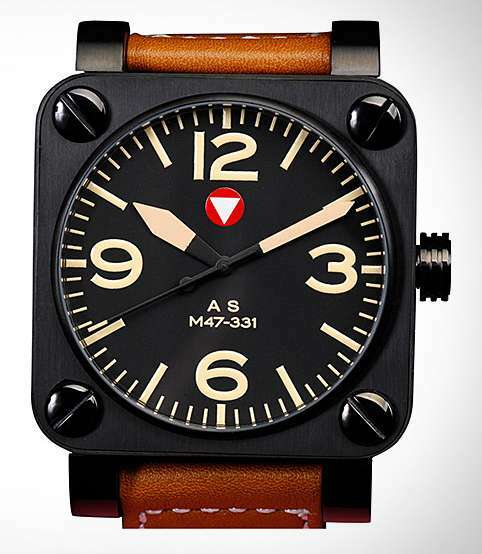 The watch retails for about USD 1,000 and the proceeds goes to a charity knows as the After School All Stars. Cool.